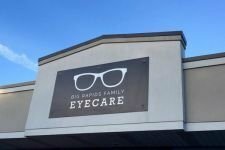 Big Rapids Family Eyecare proudly serves the Big Rapids area with quality eye care services and a friendly staff. Drs. Emily A. Coles and Thomas F. Klimek take great pride in offering the best vision care possible for your entire family. Whether you need to be fitted with eyeglasses or contact lenses, or you need a comprehensive eye exam, our practice utilizes the latest technology and treatments available. Our staff will take the time to answer all of your questions and explain treatment options through your entire eye care experience. If you’re looking for quality eye care with a personal touch, then give us a call and schedule your comprehensive eye exam today!